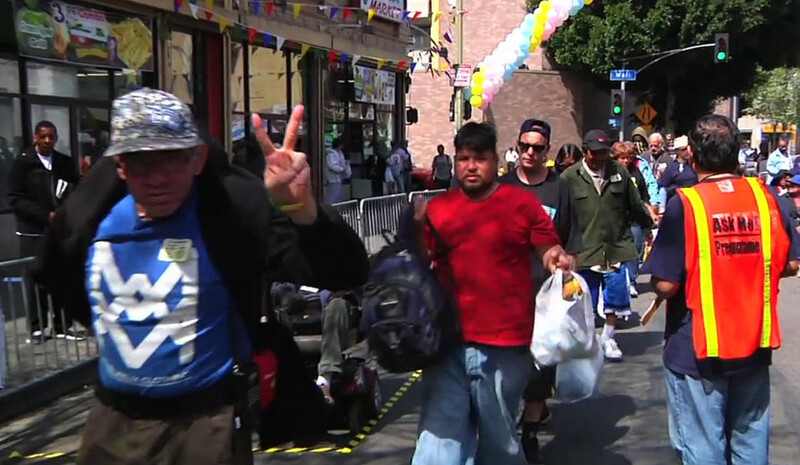 etnies hands out 2000 pairs of shoes the homeless at the L.A. Mission's annual Easter event. etnies continued their charitable efforts this past weekend at the LA Mission's annual Easter event, handing out over 2000 pairs of shoes to the homeless of L.A.'s Skid Row. Over the past 14 years, etnies has worked closely with the Los Angeles Mission, donating over 34,000 pairs of shoes to the Los Angeles homeless community during that time span. Over two decades ago, Pierre-Andre Senizergues, owner and CEO of etnies, a global action sports footwear and apparel brand, found himself homeless in Los Angeles. Freshly off the plane from France, he was eager to pursue his dream of skateboarding, but quickly found himself alone and homeless in a country where he didn’t speak the language. His experience of living out of a van for six months is one of the driving reasons behind why he gives etnies shoes to the homeless every year. Last Friday at the Los Angeles Mission’s annual Easter celebration, Pierre-Andre gathered a group of etnies team riders and staff to help him deliver comfort to the soles of Los Angeles’ homeless in the form of 2,000 pairs of brand new shoes. Pierre and filmmaker Mike Manzoori went behind the scenes at the event on Skid Row to show how the simple gesture of giving can change thousands of lives.